Even at the age of 34, Michael Carrick still manages to get consistent playing time in Manchester United. The veteran player has recently finished recovering from an injury which kept him out of the pitch for a substantially long period of time. Michael Carrick is the oldest active player in Manchester United and his contract in Old Trafford will expire in the summer at the end of the season. This means that in a few months’ time Carrick will turn into a free agent but reports and rumors are linking the experienced midfielder to Newcastle United as well as taking up a managerial position in Old Trafford. Ryan Giggs believes that Michael Carrick has what it takes to become a manager of a club and Manchester United are rumored to be working out a new contract for Carrick that would see the veteran player extending his stay in Old Trafford for at least another year as well as also offering Carrick the chance to start earning his coaching badges and turn into the coach of one of Manchester United’s teams, preferably an assistant manager to the youth academy or something of that nature. 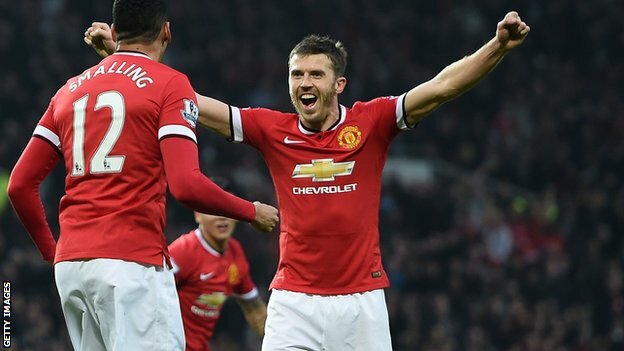 However, Newcastle United can turn into a possible destination for Michael Carrick as the Premier League club is interested in signing the veteran midfielder and if Carrick wants to embark on a new adventure with a different club then Newcastle United is the boyhood that Carrick would relsih to be playing for when his time with Manchester United finalizes in the summer, in a few months. He is currently odds on to stay at Manchester United, though if you use this Sportingbet promotional code for sports betting you can get double the odds, if you think he'll be turning out in the black-and-white stripes of Newcastle next season. Carrick signed for Manchester United back on July of 2006 for a transfer fee of around £18 million and ever since then, he has gone on to become a crucial player for the club in Old Trafford with consistent performances. It’s almost been 10 years since Carrick joined Manchester United and in this time lapse; he has lifted 5 Premier League titles and 1 Champions League as well as numerous other pieces of silverware.